Dentistry may not be the most exciting topic to discuss...even for dentists. But a new podcast developed by the American Dental Society and launched in October is making tooth talk fun! OK, well, fun might be a stretch. But definitely interesting. 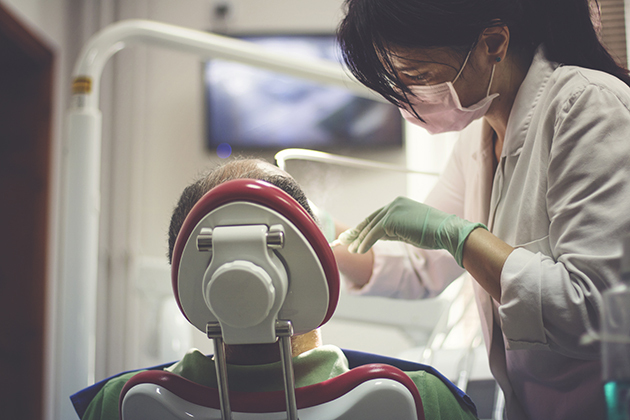 The series, "Tooth Talk," was originally conceptualized and designed to keep dentists and other dental professionals informed on all the latest happenings in Washington with regard to the dental industry. Presented by the American Dental Political Action Committee (ADPAC), the biweekly podcast will feature one-on-one interviews with key ADA staff members and other experts on topics ranging from important dental-related legislation to organized dentistry’s role in advocacy. The podcast is hosted by Sarah Milligan, director, political affairs, ADPAC, and Peter Aiello, manager, grassroots education & digital advocacy, ADPAC. New episodes are published the second and fourth Mondays. For the premiere episode of Tooth Talk, "Dentistry and the District: ADA Government Affairs & the D.C. Office," the two hosts sit down with ADA Senior Vice President of Government and Public Affairs Mike Graham to discuss how the Washington office advocates for oral health. "As one of the nation’s leading healthcare organizations, the ADA plays an important role in shaping the future of the nation’s oral health, supporting dentists and representing dentistry as a whole," said Dr. Jerry Bird, ADPAC chair, in an email announcing the new podcast. Listening to the podcast is easy! Simply visit the Tooth Talk website and subscribe. You can also listen on your iPhone or Android device and on Spotify. ADPAC also invites listeners to subscribe to the biweekly podcast in order to receive updates when new episodes are released.